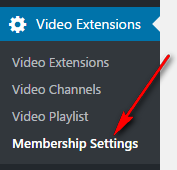 If you set a limitted number of create Channels/Playlist or Upload Videos but NOT select the memberships. The setting will apply to all user. Number of days before Expired Date to show warning: if user subscription is about to expired, a warning message will appear. Enter number of days before the Expired Date to show the warning message here. 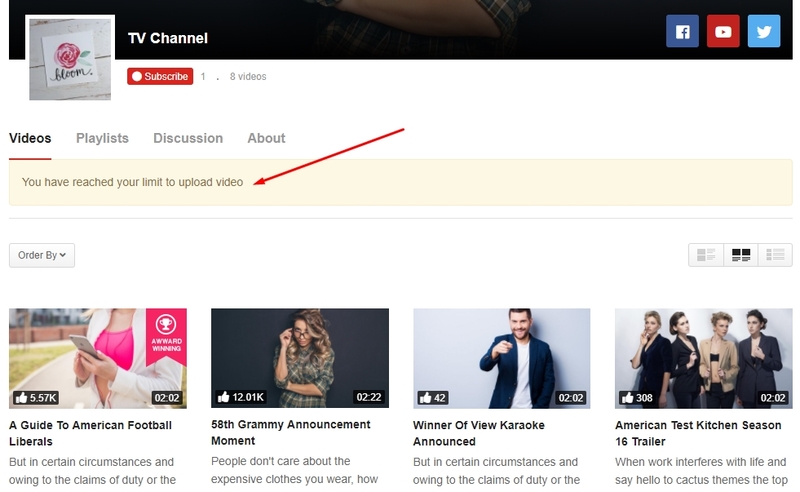 By default, the warning message is shown in user Profile Page (used with Theme My Login plugin) or in BuddyPress Profile Page (used with BuddyPress plugin). 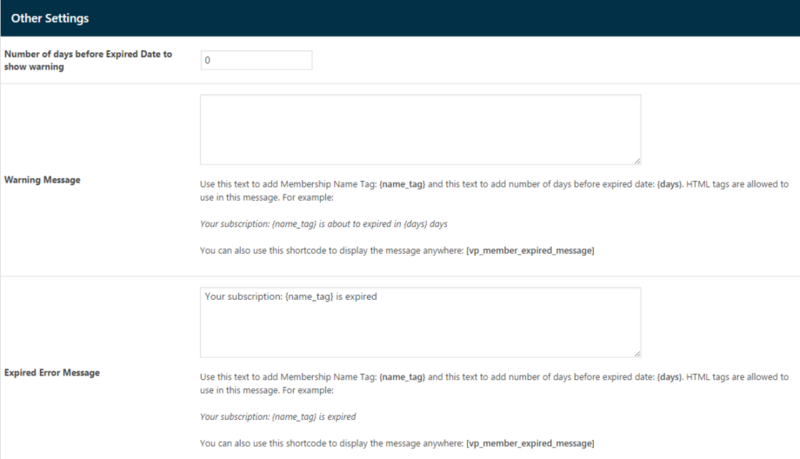 You can also use this shortcode to display the message anywhere: [vp_member_expired_message].